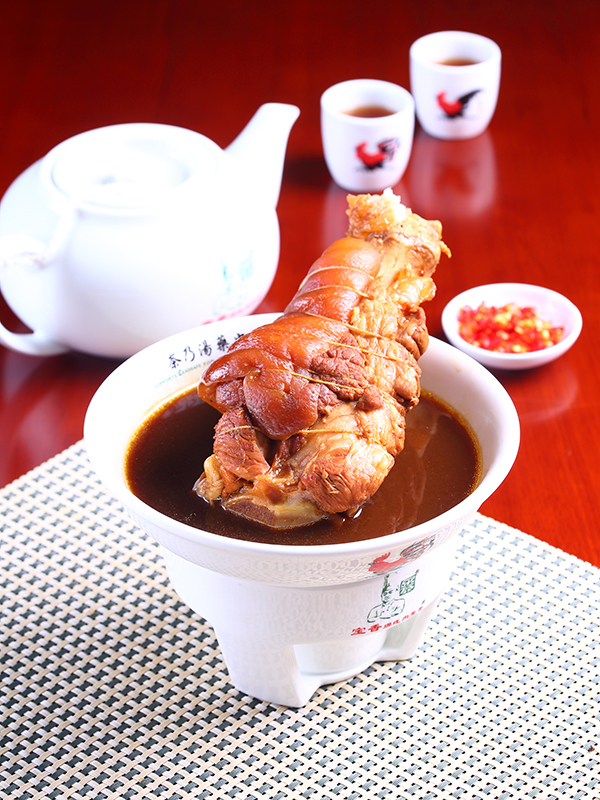 The pork leg is one of the most renowned ingredient in Chinese cuisine, as well as one that is often used in Bak Kut Teh. Paoxiang, which prides itself in the level of effort invested in preparing the dish, as well as paying extra attention to the pork leg, refuses to be content with merely offering “pork leg” in the menu. 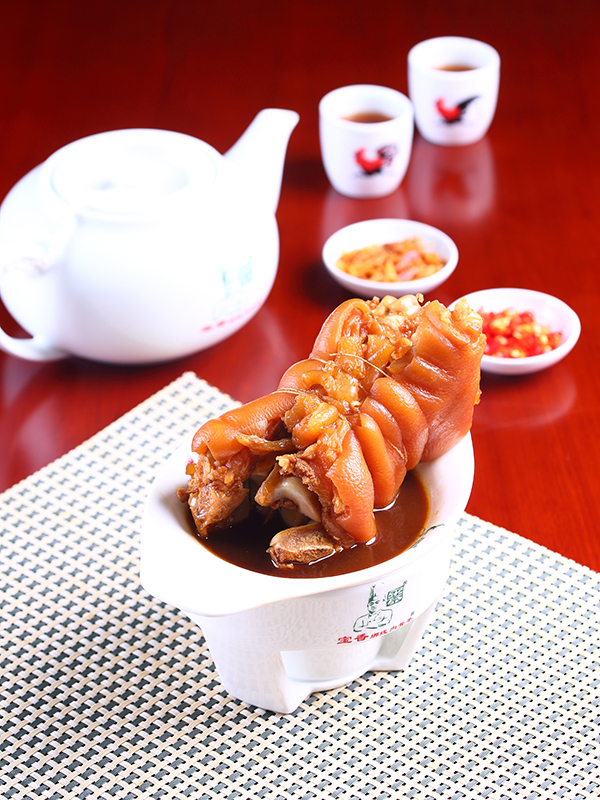 Instead, the pork leg was divided into and made available in the menu in four distinct cuts – Tua Kut (front portion of the hock), Sui Kut (rear portion of the hock), Ka Wan (knee), and Ka Chak (trotters), in order to enable diners to choose their own favourites. In order to accentuate the flavours of these four pork leg parts, Paoxiang has them prepared with the traditional cotton string tying method. This seemingly bland method of cooking actually has more to it than meets the eye. Other than being able to extract excessive fats from the meat, this method also enables the meat to keep its form better, resulting in a better looking and healthier dish. 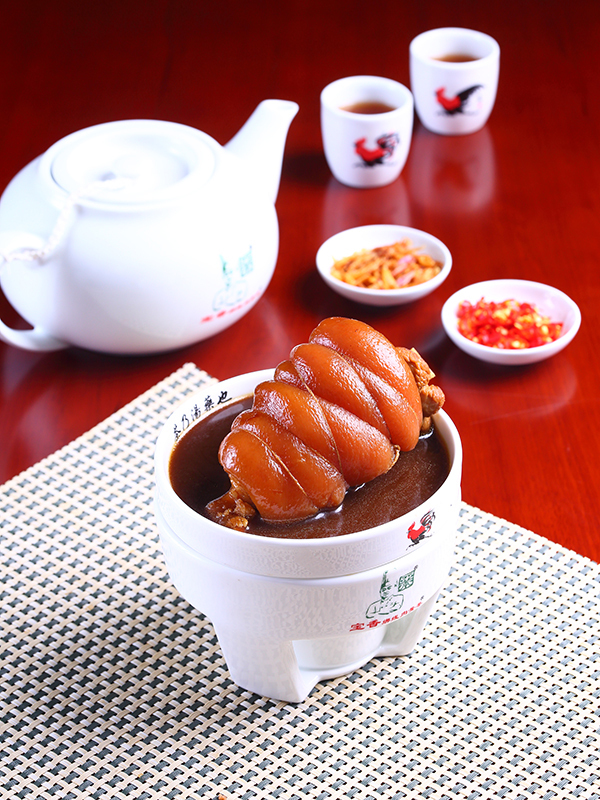 The flavourful concoctions of the respective cuts filled with collagen, cooked to succulent perfection using the string tying method in conjunction with Paoxiang’s unique thick and healthy herbal soup, were so popular among diners, that they were named the “four heavenly kings” and subsequently be made the treasure of Paoxiang. At Paoxiang, the Chew Pai Bak refers to the pork shoulder. It was also known among the Chinese as “Bu Jian Tian (literally, not-seeing-the-sky)” due to being an obscured part of the pig. The cut, due to being an adequately exercised part, has a soft texture, balanced fat content, and absorbs flavours easily, giving it a smooth, succulent yet not greasy taste, thus earning it the status of being the Chew Pai Bak (literally, signature meat) of the establishment. The Teng Kia (large intestine) is a tasty yet troublesome part of the pig, as when not cleaned properly, not only the taste would be ruined, it would also be unsafe for consumption. 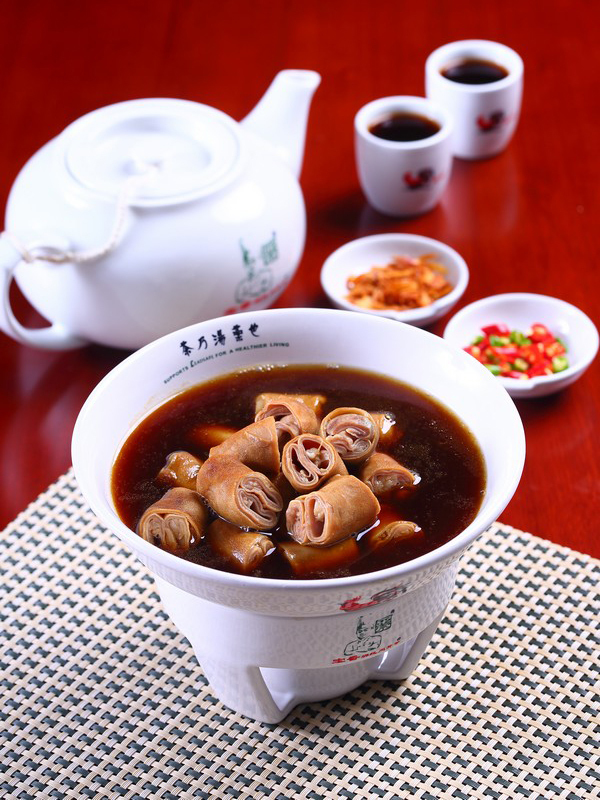 In a bid to serve diners Teng Kia which is both tasty and safe, Paoxiang, which never compromises when it comes to hygiene, treats cleaning of the part with utmost seriousness, as well as folding the ingredient into five layers. This ensured a tender, chewy texture as well as giving the Teng Kia a distinct flavour. 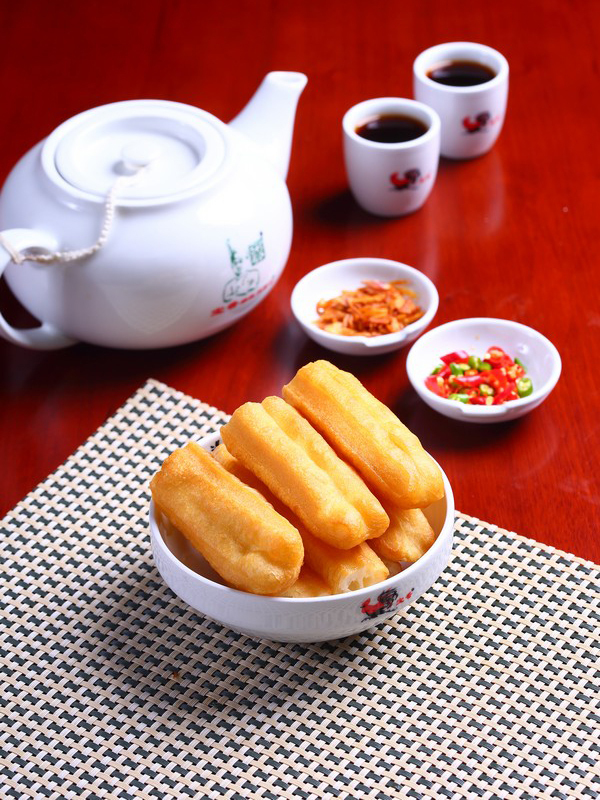 The youtiao (literally, oil stick) is widely considered an indispensable ingredient of Bak Kut Teh. The dish in Paoxiang is not only homemade, but also made and fried on demand, in order to ensure ultimate freshness and crispiness without an oily taste when served. 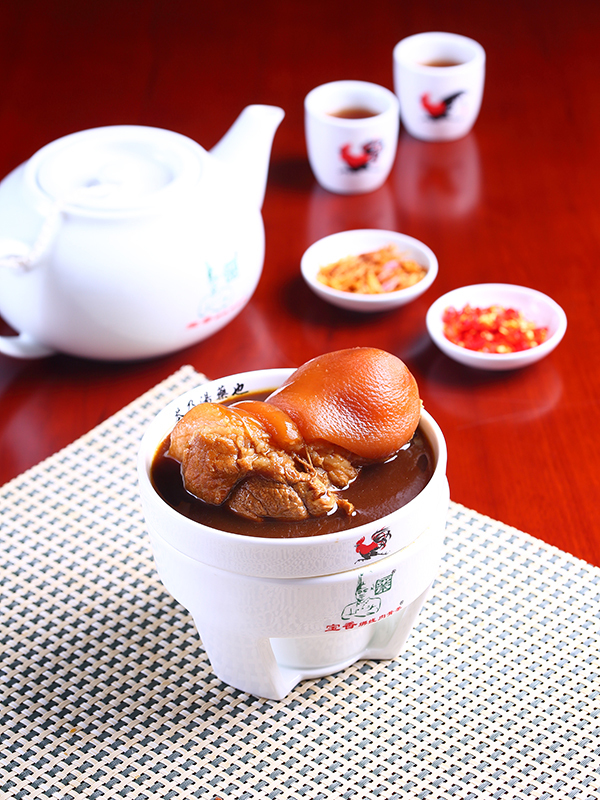 By perfecting the taste of this seemingly insignificant dish, diners get to completely experience of the intricacies of Bak Kut Teh.